Recent work in science and technological studies has provided a clearer understanding of the way in which science functions in society and the interconnectedness among different strands of science, policy, economy and environment. It is well acknowledged that a different way of thinking is required in order to address problems facing the global community, particularly in relation to issues of risk and uncertainty, which affect humanity as a whole. However, approaches to education in science tend to perpetuate an outmoded way of thinking that is incommensurable with preparing individuals for participation and decision-making in an uncertain, complex world. 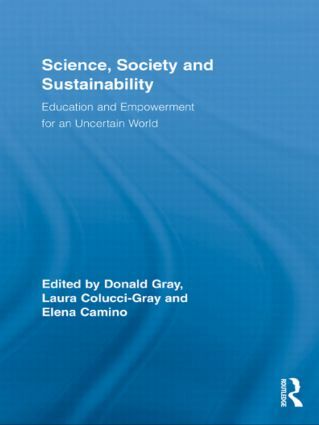 Drawing on experiences of interdisciplinary dialogue and practice in a higher education context, this book illustrates how reformulating the agenda in science and technology can have a revolutionary impact on learning and teaching in the classroom at all levels. This exceptional study will interest scholars in Education, Science, Technology, and Society, and those looking to further deliberative democracy and civic participation in their students.